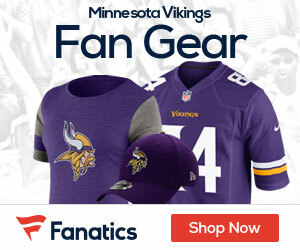 Win A Retro Vikings T-Shirt From T-Shirts.com! Apply to Join the Ochocinco News Network (OCNN) and Cover the Super Bowl! Enter The ‘Visa Signature Team Tackle Sweepstakes’ Today to Get to the Big Game! Win A FREE Droid Bionic Along With Tickets To The Vikings/Broncos Game! Who Wants Free Tickets To The Vikings/Raiders Game? There’s Nothing Better Than Winning Free Stuff! Week Two – Gridiron Gab Pick ‘Em Challenge!